The peak close to Rhenigidale is Todun. At 1732′ high it is visible from across The Minch and is in that group of hills called ‘Marilyns’ that are beloved by those walkers who like categories. Their peaks must be over 492′ (150 metres) and stand out from other hills in the vicinity. There are 2009 of them in Great Britain and Ireland, of which 1216 are in Scotland. 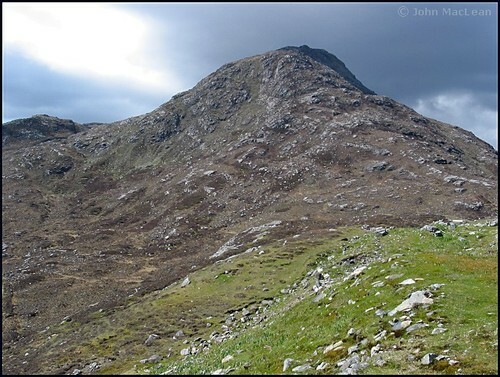 The image here gives an indication of a perfectly contoured landscape structure.There is a fine description of the journey to the summit on the website Walkhighlands and the quality of the photographs make the descriptions very effective. Take the trip now, online, and save the journey itself for a future outing.